Before I was a performance poet, I was a rapper. Not a professional one, though. Just someone who raps in the solitude of his bathroom. Maybe the biggest crowd I've ever performed for back then was in the school bus. When I reached college, I discovered performance poetry. Or to use the more popular term, spoken word poetry. But I prefer calling it performance poetry. Anyway, when my professor told me that my style was close to rap and hip-hop, I read through my old books on the subject, and rediscovered the works of Gil Scott-Heron. I'm not here to tell you about the life of Gil Scott-Heron. You can find that out on his Wikipedia page. 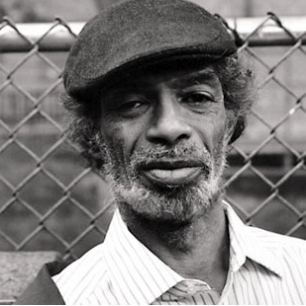 I'm just here to say that Gil Scott-Heron was the biggest influence in my performance poetry career (which has spanned seven years now), and I would strongly suggest that anyone who has just discovered the beauty of spoken word poetry should definitely go back to the roots, which includes Scott-Heron's works. Rest in peace, Mr. Scott-Heron. The Revolution will not be televised. The Revolution will be streamed live in HD. Gilbert Scott-Heron. 1 April 1949 - 27 May 2011.